Witness India’s religious history through various landmarks in its culture and heritage. From an excursion to Delhi to Bodhgaya, you would be covering all the major tourist hotspot along with the spiritual centers of India. Witness India’s religious diversity by visiting temples and sites of Hindus, Muslims, Sikh, Baha’i, Buddhist etc. 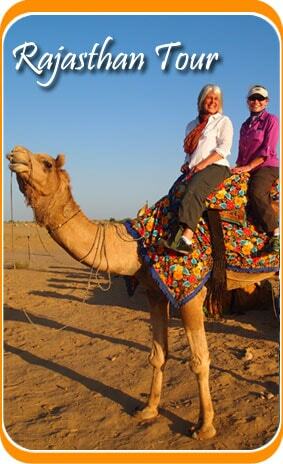 Enlighten yourself through this package especially created by Travelsite India. Arrive at Delhi and then check into the hotel pre-booked for you. Rest and stay at the hotel for the night. 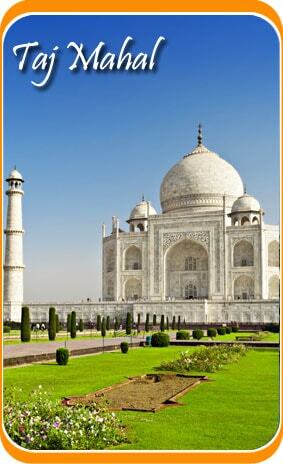 We would begin our day by visiting various historical and religious sites at Delhi. Go on and see the Jama Masjid and have a look at the markets of Chandni Chowk and observe the hustle bustle of the city and understand the Mughal touch in its inception. Visit the Raj Ghat which is built in the fond remembrance of Mahatma Gandhi also it is his burial place, the Qutub Minar, the Red Fort and the Baha’i lotus temple – a place where you are going to find peacefulness at its best, with the quiet and pristine environment. Return to the hotel and there for the night. Start your day by visiting the shrine of Nizamuddin Chishti and also visit the Humayun’s tomb after your visit to the Dargah – which is famous as the saint is said to have shunned the pleasures of the world and found God and presented this knowledge to all human beings. In the latter half of the day, proceed to Delhi Railway station and board the train to Amritsar. Overnight at the train. This day would completely be dedicated to the visit of Amritsar. The first place to visit would be the Golden temple, an important religious site for the Sikhs where you would completely understand what Sikhism stands for. Our second halt would be the historic Jalianwala Bagh, which is a site that witnessed huge massacre by General Dyer, in 1919. In the evening we would visit the Wagah Border and witness the evening ceremony there. Stay at the hotel for the night. Start you day with a visit to the shrine of Tarn Taran and then the Gobindwala shrine /Gurudwara which is yet another important Sikh site. After the visit proceed towards the Railway station and board a train to Mathura. Overnight in the train. As you reach Mathura, check into the hotel pre-booked for you. Stay there and relax. We would then visit the temples in Mathura and Vrindavan. These places are where Lord Krishna had spent his childhood. More specifically, Mathura is where Lord Krishna was born and Vrindavan is he spent his juvenile days. In the evening you can go and have a look at the surroundings of Mathura. Stay at the hotel for the night. Today we would visit the villages of Gokul and Goverdhan. Mythology has it that Lord Krishna spent a lot of time at these places playin in the lap of his foster mother Yashoda. Go about and visit the temples and explore the nearby surroundings. Return back to the hotel and stay there for the night. Start this day by driving towards Bharatpur. This place is home to a sanctuary which holds in itself a great variety of flora and fauna. Enjoy an excursion to the sanctuary and look out for the exotic birds found within it. Then you are to enjoy your night stay at the Laxmi Vilas Palace. Stay there for the night. Today we would drive towards Agra via Fatehpur Sikri. Halt at Fatehpur sikri and unravel the city which in its ruins. As we arrive at Agra, check into the hotel and relax. After that, go and visit the Taj Mahal, a mausoleum built in the remembrance of Mumtaz Mahal, commissioned by Shah Jahan, Agra Fort also called Red Fort, built in the times of the Mughals and the Tomb of Itmad –Ud –Daula, which a memorial complex. Stay at the hotel for the night. The day is free to be spent at leisure. Indulge in individual activities like exploring the bazaars of Agra. In the evening we would board a train to reach Varanasi. Overnight in the train. As you arrive at Varanasi, check into the hotel and relax for a while. We would move towards Sarnath today for a thorough visit of the place. Visit the Stupas, the temples and the Ashoka’s pillar here. Sarnath is a Buddhist religious tourist hotspot. It is also the place where Lord Buddha gave his first sermon. Stay at the hotel for the night. This day would completely be dedicated to sightseeing at Varanasi. Start your day with an early morning boat ride at the Ganges River. Watch the sun rise above the Ganges and watch the water shimmer as you cruise along. In the afternoon you can try the local cuisine or take a stroll through the ghats of the Ganges. Do not miss to enjoy the rickshaw rides through the narrow lanes. Stay at the hotel for the night. The day is free to be spent at leisure. We would start this day with an overnight tour to Bodhgaya. As you reach there, check into the hotel and stay. Dedicate this day to sightseeing of Bodhgaya. Visit the Bodhgaya temple and see the prestigious Buddhist site. This is the place where Buddha attained enlightenment. Go and visit the beautiful Mahabodhi temple where there is a sculpture of Lord Buddha in ‘touching the ground pose’ , it is the exact place where Lord Buddha found peace and attained enlightenment after severe penance at the Bodhi Tree. Then come back to the hotel for the night. In the day you can take a stroll t the heavenly streets of Bodhgaya and explore the beauty it has to offer. Do some meditation. Then, board a train for Delhi. Overnight in the train. Now book a flight to your home country as your ‘Excursion to India Spiritual Culture’ ends here. Have a safe journey ahead.